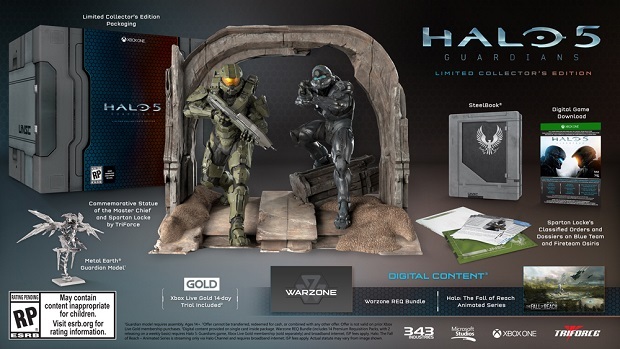 While Halo 5: Guardians’ collector’s edition won’t come with a physical copy of the game’s disc, Microsoft is giving fans a brief window to swap out their included code for a disc that can go in the steelbook case that comes with the $250 special edition. A post on the Xbox Support website gives fans step-by-step instructions on how they can exchange their code for a physical disc, but this offer will only be available between October 20th and November 1st. As the collector’s edition will be available a week before Halo 5 actually launches, those who act quickly should have a disc in time for the game’s launch on October 27th. 1. Open the Contact Us page. 2. Select “Chat with Microsoft Support” to chat with a support agent. 3. Once you’re connected, inform them that you want to exchange your unredeemed digital code for Halo 5: Guardians for a physical disc. Halo 5: Guardians is coming exclusively to Xbox One. For more on the game, check out our latest preview.